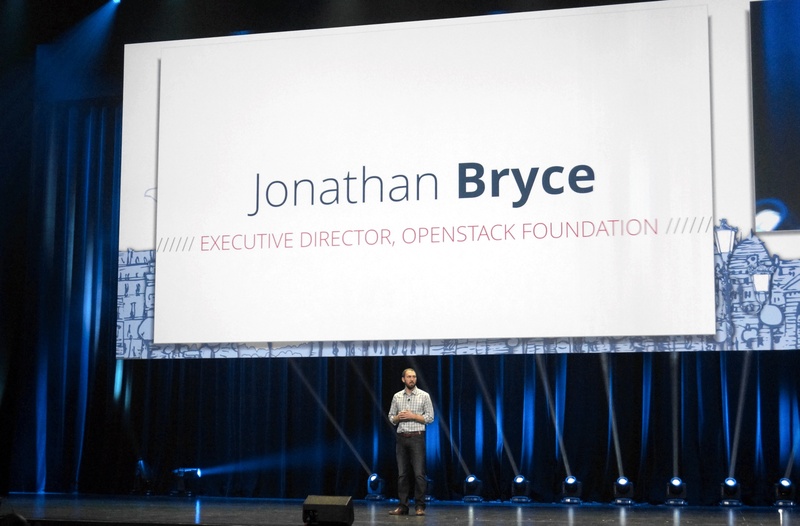 OpenStack, the fast-growing open source cloud computing platform that now has the backing of more than 200 companies, is holding its semiannual developer conference in Paris this week. With over 4,500 attendees, it’s the organization’s largest event so far. While this illustrates the interest in the platform, the project is also facing a set of new challenges with its growing popularity. During today’s keynote a number of speakers noted that the project’s six-month release cycle makes it harder for large organizations to adopt the platform. The head of BMW’s datacenter Stefan Lenz, for example, noted that too many big changes happen from release to release. “We need more stability in the future,” he noted. 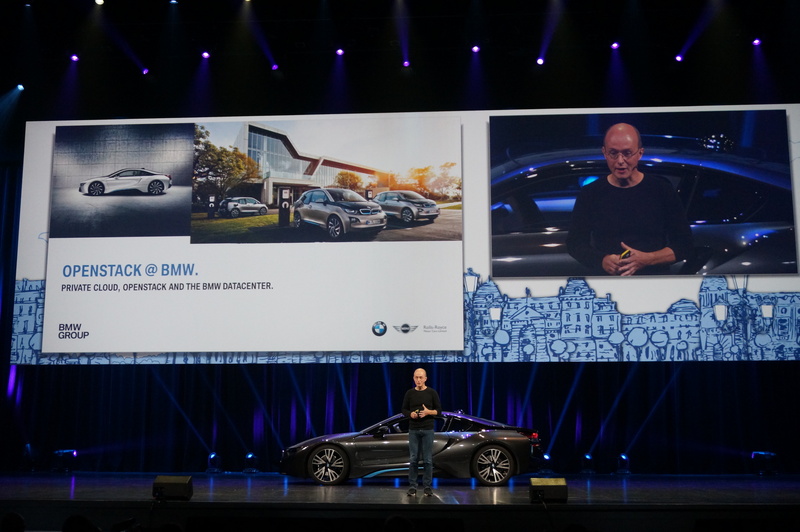 “But that doesn’t prevent us from using it right now as it is.” BMW currently only runs a 100 core OpenStack cluster in what Lenz called a “semi-productive” environment that is mostly dedicated to developing the company’s practices around OpenStack. Other speakers throughout the morning shared similar concerns, and as OpenStack COO Mark Collier and executive director Jonathan Bryce noted in a press conference after today’s keynote, the organization is aware of this. Now that many of the project’s modules have matured, though, most users don’t necessarily need to install every upgrade. Collier admitted that the organization always keeps its options open, but he also noted that one of OpenStack’s goals in its forthcoming releases is to make updating easier for its current users. The other issue the organization needs to face now is that getting up and running with OpenStack continues to be very difficult. For most businesses, standing up an OpenStack cloud means working with a specialized third-party vendor. If OpenStack wants to reach a wider audience, it has to make this process easier. Parallel to the main event, the OpenStack contributors also hold their own so-called “Design Summit” to set their priorities for the upcoming release. During that time, the developers of the individual OpenStack modules work on their roadmaps, but this year, there is also more time dedicated to coordinating the efforts between the different modules. During the early days of the project, the focus was on bringing new features to these modules, but as the projects matured, there now has to be more emphasis on coordination between them. The other sign of maturity is the sheer number of vendors in the OpenStack ecosystem, ranging from Linux distributions like Ubuntu, SUSE and RedHat to companies like PLUMgrid, which focuses on virtual network infrastructures for OpenStack clouds. With this, investors are also getting more interested in this space. SwiftStack, for example, announced a $16 million Series B round last month and that’s just the latest in a wide range of recent announcements, which also include Mirantis’ $100 million round. We are also seeing the first round of OpenStack-related acquisitions now. Cisco, for example, snapped up Metacloud in September. All of this shows that the project is quickly maturing. For the longest time, things didn’t look so great for the project, which was incubated by RackSpace and NASA. Over the last two years or so, the organization both managed to improve its technology and its messaging around it. As it matures and more companies join the fray, though, the organization will also have to ensure that it doesn’t trade in its ability to innovate for the stability that its users clearly want at this stage.